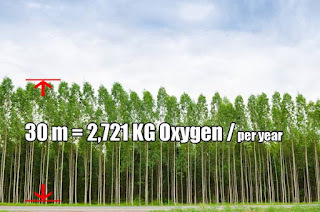 A single 30-meter-tall mature tree can absorb as much as 22.7 kilograms (50 pounds) of carbon dioxide in a year, which over it’s lifetime is approximately the same amount as would be produced by an average car being driven 41,500 kilometers (25,787 miles). 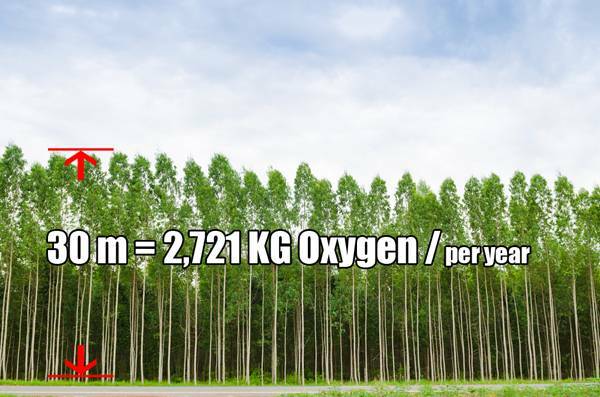 The same tree could also produce 2,721 kilograms (5,998.78 pounds) of oxygen in a year, which is enough to support at least two people. 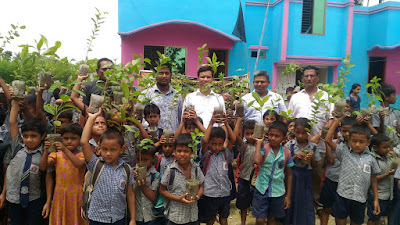 According to the University of Melbourne, because trees grow faster the older they get, their capacity for photosynthesis and carbon sequestration increases as they age.